Auctions on eBay close at a prescribed time. So you need to synchronize your clock with an eBay auction to make sure that you can make the most strategically timed bid possible. To find out what time an auction ends, simply look at the auction page. Note that eBay runs on Pacific Time and uses a 24-hour clock (00:00 to 24:00 versus the more familiar 12:00 to 12:00). Open your Internet browser and visit eBay Current Date and Time. The official clock at eBay appears, in the form of the Official Time page. With the browser open, right-click at the right end of your computer’s taskbar and choose Adjust Date/Time from the resulting menu. The Date/Time Properties window appears. Click the Internet browser to activate it and then click the browser’s Refresh button. After the page refreshes, immediately type the official eBay time into your computer’s clock and then click OK. 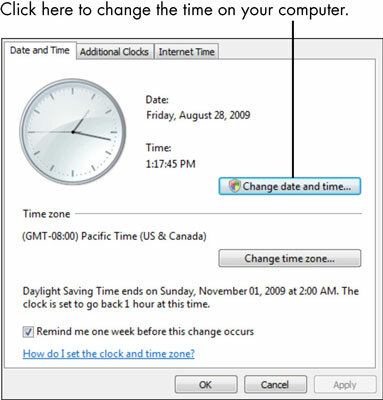 If your computer is running the Windows XP or Vista operating systems, the box that appears when you right-click the taskbar has a third option: Internet Time. In this window, you can synchronize your computer’s clock to the Microsoft time server or the National Institute of Standards and Technology’s atomic clock.